Obama's attorney general sought warrants to spy on President Trump's campaign team last June, and was denied last June by a federal judge. The citation. Obama's attorney general sought warrants to spy on a server at Trump Tower last October and was granted one by a federal judge. Ibid. The Obama administration spied on President Trump's transition team. The citation. This information alone — supported by mass media news reports — is enough to warrant a criminal investigation by the Department of Justice, as well as a civil rights investigation into Barack Obama's possible violation of Donald Trump's right to seek the presidency. Newt Gingrich, the former House Speaker and presidential candidate, said Sunday that the evidence of collusion with Russia points to Democrats, not Republicans. "It is ironic that all of the real evidence of real money and real influence-buying relates to Democrats," Gingrich told Fox News' "Sunday Morning Futures with Maria Bartiromo." Gingrich, who has been a trusted Trump adviser, said Russia's involvement in the 2016 elections "may have helped Democrats far more than Republicans." Gingrich pointed to benefactors of such collusion being associated with Hillary Clinton's former campaign chairman, John Podesta — specifically his brother, Tony Podesta. "There is no evidence that anybody was being purchased on the Republican side," he said. Gingrich cited Tony Podesta as a "registered agent for a Russian bank." There has been more-recent news that he is also lobbying for the Chinese. Some on Capitol Hill are also calling for an investigation into John Podesta's previous associations with Russia as a motive for possible collusion during the elections. Gingrich's statement comes one day after President Trump took aim at the media on Twitter for following a "phony Russia story" that seeks to tie him to collusion with Russian over the election. Sounds like the real criminals are trying to divert attention by making President Trump look bad. What we do know, however, warrants investigation already. I am not alone in believing Obama and his team engaged in illegal activity to thwart the election last year. The media has given credence to Democrat Congressman Adam Schiff's hysterical charges about how the Republican chair of the committee, Devin Nunes, made his latest discoveries. But Schiff is a dishonest McCarthyite, spewing insinuations and accusations without any proof to back them up. Nunes, on the other hand, has obviously gotten hold of solid intel showing that Obama spied on Trump and his people, pretty much as the president tweeted back on March 4. The willing Democrat executioners of truth — i.e. the news staffs at ABC, CBS, NBC, CNN and the New York Times — give equal weight to the statements of both men, making it seem like the House Intelligence Committee has simply descended into partisan bickering. But that's a lie. Nunes has found something. Schiff is smearing him and the president. Those two actions do not deserve the same sort of coverage. An intelligence whistle blower has apparently shown Nunes documents containing intelligence gathered on members of Trump's transition team. Though this intelligence may have been gathered legally — i.e. as part of a wiretap on foreigners — at least two of the names of Americans, including the name of former National Security Advisor Michael Flynn, were illegally revealed and shared widely. Other names were made obvious even though they remained concealed. None of the investigations seems to have had anything to do with Russia. You can tell that Nunes has got this stuff solid because after he saw the documents he first informed the media, then informed the president, then informed the media that he had informed the president. The White House has since invited members of both the House and Senate Intelligence Committees to view certain documents which may or may not be the ones Nunes saw. That's a lot different than Schiff making McCarthyite noise about there being "more than circumstantial evidence" that Trump works for SMERSH. Schiff and other Democrats have tried to confuse the issue with cries that Nunes isn't playing fair and demands that he recuse himself. Andrew Klavan is most correct. "Perhaps the easiest thing to do is to just consider everything the Democrats say, directly or through the media, which just prints as truth handouts from the same Democratic sources, as a lie. You’d save a lot of time and most likely be right." The media lies often and habitually. The government too. We need to get to the bottom of Obamagate and prosecute. Upon conviction, federal judges should not hesitate to incarcerate immediately for the maximum time in prison anyone who engaged in such activity. If they receive or are eligible for a federal pension, revoke it -- as well as maximum fines and the confiscation of the property of those who engaged in these illegal activities. 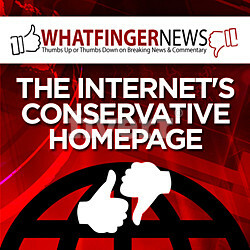 The time for partisanship is over. It has poisoned the country. There is no evidence of any wrongdoing by President Trump. But plenty of evidence points to Barack Obama's abuse of power. Let us follow that trail. If I were Barack Obama, I would lawyer up. 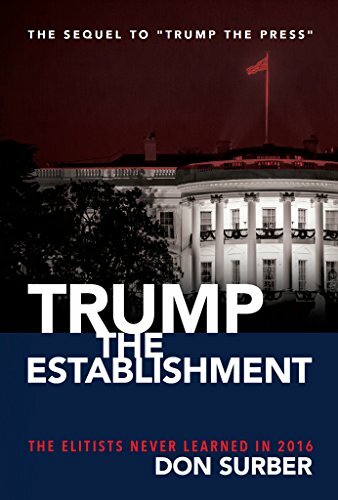 "Trump the Establishment" is now on Kindle. "Trump the Establishment" is also available in paperback. This is the sequel to "Trump the Press," which covered the nomination. The original -- "Trump the Press" -- is available on Kindle, or in paperback on Amazon. The legacy press made Watergate the daily headline back pin the day. Today the FakeNews outlets will continue to flog the Trump-Russia fantasy and ignore Obamagate This is why no one trusts the press any more. Why isn't Fox News reporting any of this? Adam Housley (sp) has been reporting on this. As guys like Nunes dig further it will get interesting. Why is media not interested? Heck..it was their source material for a year. Notice how Democrats arent interested in their precious "process" when it comes to leaks? But would rather attempt to trap Trump with some silly process fault? But of course Adam Shiff has to suggest some silly problem with how the WH handled the info Nunes looks at while investigating....aka "poison the well". And BTW? Why on earth do previous federal employees retain security clearances after leaving jobs? Why arent they revoked as people leave their jobs? Oh, the media is interested.... In covering up all the possibly can. Don't just treat everything the Dems say as a lie -- also know that whatever they accuse others of doing is what they themselves are doing. Lying and projecting -- it's what the Dems are good at. SJW's always: Lie, Project, and Double Down. In other words everything they accuse you of they are already guilty of themselves, and every bit of evidence they claim against you is planted, or a false flag operation. "Upon conviction, federal judges should not hesitate to incarcerate immediately for the maximum time in prison anyone who engaged in such activity." This assumes the many Federal judges appointed in the last 8 years won't hesitate to do what's necessary in the name of the agenda. I wonder if it's possible to do the left's favorite trick and judge shop this case. Obama would never be convicted of these crimes even if he confessed. He is like OJ, held in high esteem by the Left because he beat the Man. He is also a hero In​ the canyons of Bank Land whose denizens​ he not only kept rich but out of jail. He is invulnerable, sad to say. Trump should let the politicans fight but should not lose sight of how Obama and Bill became powerful, making others rich and convicting not.To me, He must focus only on the economy and never take his eyes off it no matter how tempting it may be. This is where his real power lies, in the truth of results, not jousting at media​ fortified windmills. His voters didn't care if the Clintons were patholoical liars. They​ were happy with the first psychopath because he made them money and gave some hope, and even if it was bubbly​ hope, it was fun. They rejected the second because they felt she could not or would not deliver for them. Her personal selfishness was just too obvious. Let Trump be Trump, as he said he would be, and he will overcome his scaley enemies. In Politics, Economic Reality always wins out sooner or later over unworkable pipe dreams, overcomes even the sweetest​ anticipation of revenge. Susan Rice identified as "unmasker"
Damn. I was hoping it was Brennan so I could see him serve jail time. Oh well, Rice in striped prison pajamas will have to suffice. Ms Rice is taking the fall. No chance of her going to jail. She's African American, a woman and a Democrat. 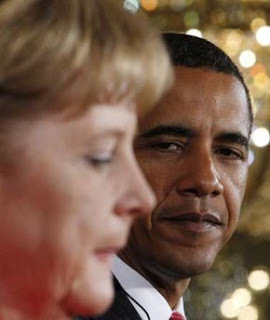 BHO, citizen of the world (not the USA), will find suitable domicile in a foreign country. When folks such as he, Clinton, Valerie Jarrett, the Podestas, etc. start for a long, foreign vacation, you can bet they know the shoe is about to drop on them. You think maybe the Kenyan embassy is about to get a dual citizenship passport enquiry? When you cite yourself, it makes it harder to send to people who might be persuadable. Even if you say something like "primary sources at links" or something...? Otherwise, good piece, keep up the good work. Where are all the newspapermen with your spirit these days (i.e. speaking truth to power)? You would think Carl Bernstein would be just as eager to clean the rot out of the Democrat Party as he was against Republicans. As with the right judge who doe not abide corruption after the Watergate break-in, threaten max prison and she or someone else will roll. If they are proven lairs when talking to the FBI, could be five years. Dems: cheat until caught and then lie. Here is how we confront the Dem argument that Russia 100% hacked our election: WMD in Iraq. All 17 Intel agencies were sure of that as well/. How did that work out?